TUESDAY, Feb. 9, 2016 (HealthDay News) -- Veterans Affairs hospitals seem to do just as well as other U.S. hospitals when it comes to treating older men with heart disease or pneumonia, a new study suggests. The findings, published online Feb. 9 in the Journal of the American Medical Association, were called "reassuring" in light of recent negative news about the nation's VA health care system. Researchers found that between 2010 and 2013, men treated for a heart attack, heart failure or pneumonia at a VA hospital were slightly less likely to die in the next month, compared to similar men treated at a non-VA center. They were, on the other hand, somewhat more likely to be readmitted to the hospital in that same time frame. Still, the differences between the VA and non-VA groups were so small -- usually less than 1 percentage point -- that the outcomes really are comparable, said senior researcher Dr. Harlan Krumholz, a professor of medicine at Yale University School of Medicine in New Haven, Conn.
"There've been many news stories in recent years suggesting that veterans aren't being well-served by the VA health system," Krumholz noted. This study, he said, offers some reassurance. Much of the negative press has focused on sick veterans who've been forced to wait months for treatment -- for everything from hepatitis to post-traumatic stress. In 2014, President Barack Obama ordered a system overhaul to address the issue, but it's not yet clear what the impact will be. By 2015, the number of vets on waiting lists had only grown, the VA reported last year. Amid the controversy, Krumholz said, an "ongoing question" has been whether veterans ultimately fare worse than other Americans with the same health conditions. Past studies have suggested that, at least when it comes to short-term death rates after hospitalization, VA patients do better. But those studies are at least a decade old, according to Krumholz and his colleagues. The current study looked at records for men treated at 104 VA hospitals for one of three conditions: heart attack, heart failure or pneumonia. They were compared with men treated for the same conditions at 1,500 non-VA hospitals. All of the men were age 65 or older, and received care between 2010 and 2013. Overall, the study found that VA patients had slightly lower rates of death in the month after being hospitalized. Among men treated for heart failure, for instance, 11.4 percent of vets died, versus 11.9 percent of men at non-VA hospitals. 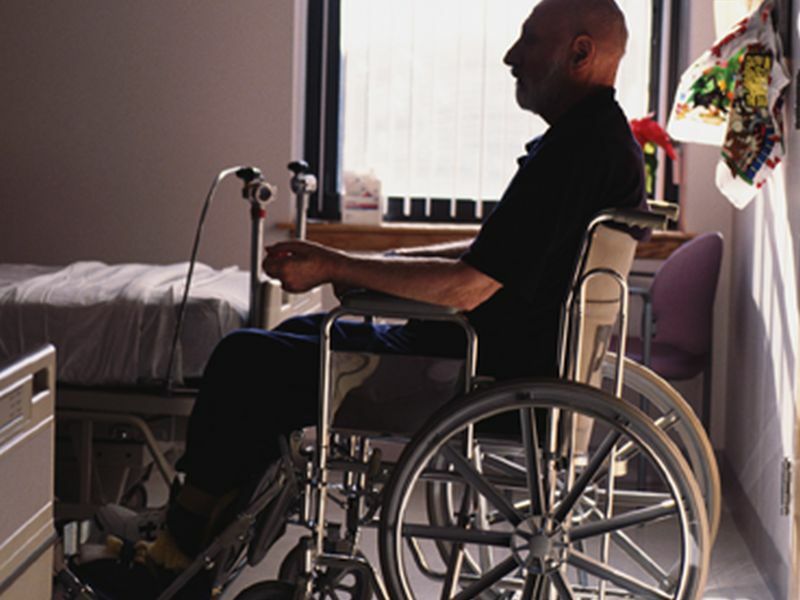 VA patients were somewhat more likely to be readmitted within a month. Among heart failure patients, 24.7 percent were readmitted, compared with 23.5 percent of non-veterans, the study found. "I think the findings offer some reassurance that on at least one critical outcome measure -- mortality -- VA hospitals seem to be doing as well, if not better, than non-VA hospitals," said Dr. Ashish Jha, a professor of health policy and medicine at Harvard T.H. Chan School of Public Health in Boston. Jha, who wrote an editorial published with the study, said the slightly higher readmission rate is unlikely to reflect poorer care during the first hospital stay. That's in part because factors like income and education have a more "profound" effect on readmission rates than on death risk, Jha explained. "We know that VA patients are poorer and more often minorities," compared to non-VA patients, Jha said. Krumholz agreed that readmissions can depend on a range of factors, including hospitals' practices. But while he saw the findings as positive, on the whole, he said there are still questions to be answered. For one, this study focused on older men with only three medical conditions. Future studies, Krumholz said, need to look at other health problems, younger vets and women. Plus, he added, there are issues other than death rates and readmissions -- including how well people recover after being hospitalized. It's already clear that the VA needs to do better, according to Jha. He pointed to a couple potential ways: The system could, for instance, focus on improving a small number of performance measures that "actually matter" to veterans. "The VA actually measures a lot of different things, some of which are important and many of which are not," Jha said. "I think important measures for performance accountability include patients' experience, hospital-acquired infection rates and, of course, mortality rates." He said the VA could also create incentives for hospitals that would improve patients' care, but are hard to "game." Employees at some VA hospitals were caught falsifying waiting list data to hide veterans' treatment delays, according to published reports. "I think the key part is to ensure that incentives are tied to measures that matter to patients and clinicians," Jha said. "When you have large incentives tied to a bad measure -- such as the 30-day waiting time -- it's easier for some hospitals to just game it than to try to improve. That's what we saw happen."